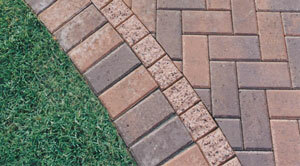 The demand for variety and quality in paving stones has been met with the creation of various lines of paving stones. If you’re shopping for paving stones, you will note the days of limited choices are a thing of the past. You can select from standard finishes to a plethora of textures, sizes and complimentary colors. 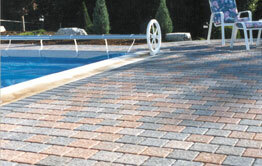 These options provide you with other design opportunities such as paver quilting or combining concrete pavers with natural stone or other materials. 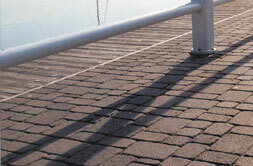 Standard pavers: Refers to concrete interlocking stones that have a smooth edge finish. 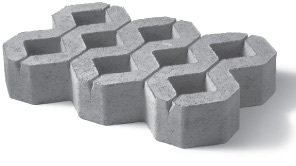 These pavers are not processed after manufacturing so the edges remain intact and retain the clean shape of the mould. 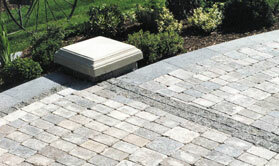 Tumbled pavers: Also referred to as “weathered”. Tumbled pavers refers to concrete pavers that are manufactured in moulds but then removed and processed to create an aged, antiqued look. 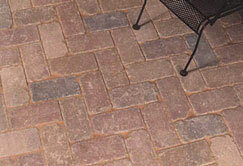 The edges of these types of pavers may be irregular and rounded. 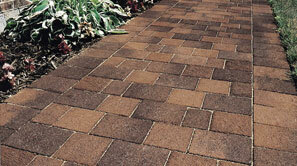 Textured pavers : Are pavers that have smooth edges but a textured top finish. Available textures range from gently dimpled surfaces to etched linear patterns. Permeable Pavers: Are pavers that are perforated either in design or pattern that allow for the penetration of water through to the soil. 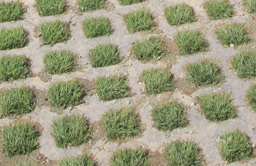 Often required in areas of the city where soil erosion or excess water is a concern.